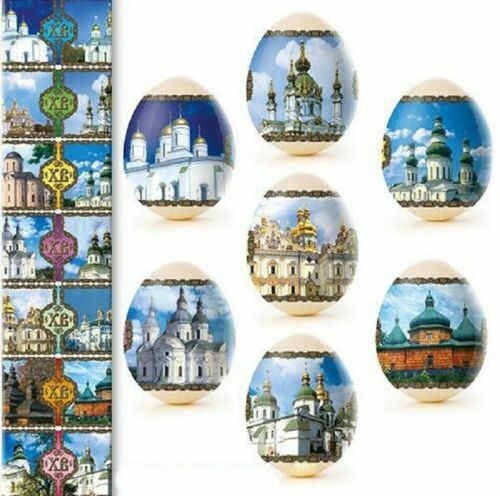 Easter thermolabels on eggs seven different motifs Thermolabels to cut scissors on demarcating lines and put on already boiled eggs. Lower the egg on a large spoon for 3 to 5 seconds in boiling water temperature of 95 ° C and pull out. The egg will be tightly wrapped in a colorful pattern. and decorate your easter table.